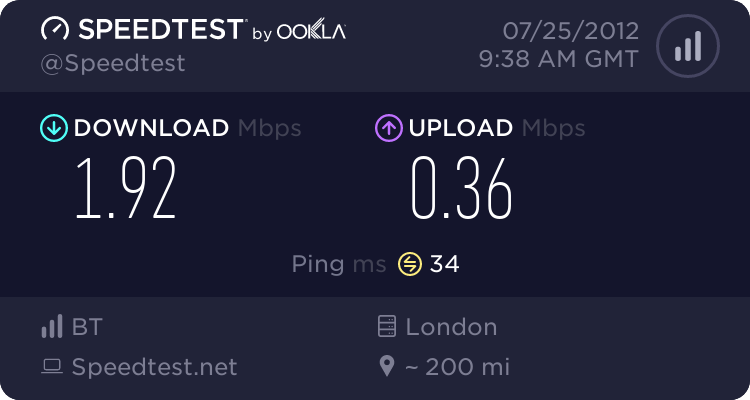 I just had my post office broadband installed on a new line last Friday and ever since I've had non stop disconnects. Below are the line stats, can someone tell me if there is anything there that would point to the issue? Todays stats after 7 disconnects this morning in the space of 2 hours! Have you tested by connecting to NTE Faceplate master socket. If after master socket test problem exists contact ISP. I've taken the faceplate off and got the same set of results. Contacted the post office who weren't very keen to help and said level 2 will investigate. It's a brand new master socket and a new phone line. If you are on adslmax then you will suffer disconnects until the line stabilises upto 10 days. To me the download is at too high a speed at this time to be stable for your Attenuation. If still problem then re post. Repost you details in general broadband. Just Noise up and down Attenuation Up and Down and line speed Up and down. Whether on max or fixed. People here have more experience than me.